Moscow, SANA –The Russian President Vladimir Putin pledged continued support for the Syrian people and leadership, expressing his belief that the Syrian people can conquer terrorism. 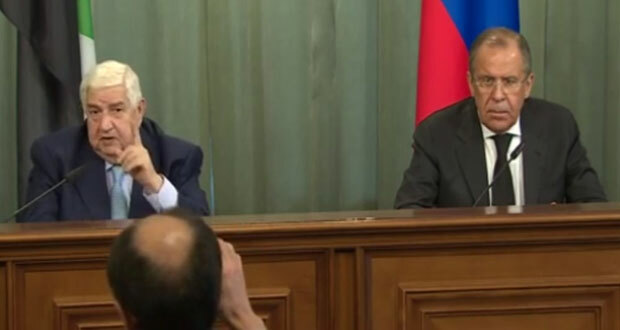 The Russian President’s comments came during his meeting with Foreign and Expatriates Minister Walid al-Moallem who is visiting the Russian capital. “We are confident that the Syrian people will conquer terrorism in the end…Our policy to support Syria, the Syrian leadership and the Syrian people remains unchanged,” Putin told al-Moallem. Putin said Moscow’s contacts with the countries in the region, including with Turkey, Jordan and Saudi Arabia, “show that everyone wants to contribute to fighting this evil,” he said, referring to the Islamic State in Iraq and Syria (ISIS). The president called on the Syrian parties and Syria’s neighboring countries to put differences aside and join forces to fight terrorism, promising that Russia will employ its leverage and good relations with neighboring countries to help establish an anti-terrorism alliance if the Syrian leadership sees any chance of it working out. 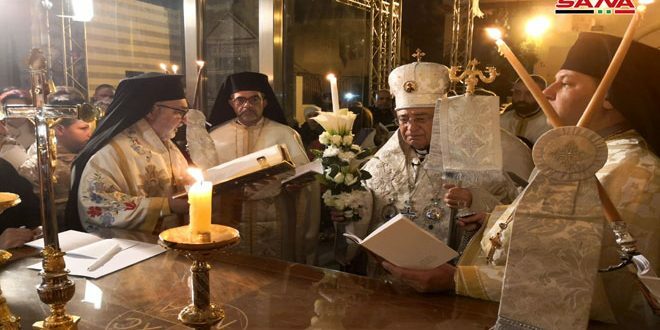 Al-Moallem said he believes that such an alliance is a tall order that “needs big miracles” to happen because the countries invited to be part of it are the root cause of the problem in Syria. 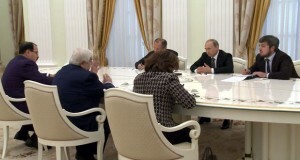 Nonetheless, he said, Syria is ready to cooperate even with them through the Russian good offices. 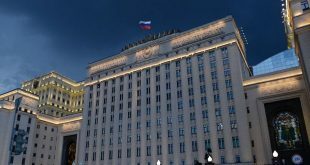 During a session of talks between al-Moallem and his Russian counterpart Sergei Lavrov, the latter pointed to a shared viewpoint by all countries, including the US, that the solution to the crisis in Syria is political. “When the threat of terrorism looms over the entire Middle East, there must be no justifications to prolong the political process,” he said. Lavrov called on all the Syrian parties to implement what had been agreed upon in Moscow consultative meetings with regard to the political solution in Syria. 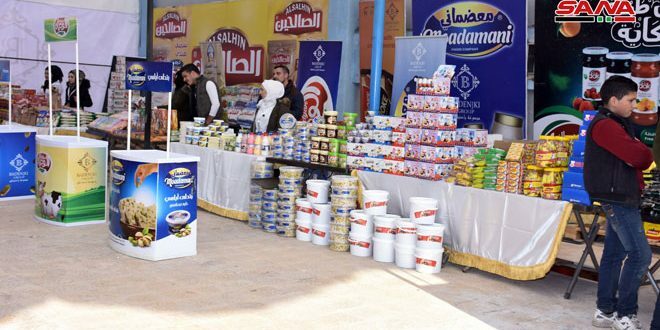 Commenting on the situation in southern Syria and Hasaka province, al-Moallem said that it is “reassuring” thanks to the Syrian people and army. 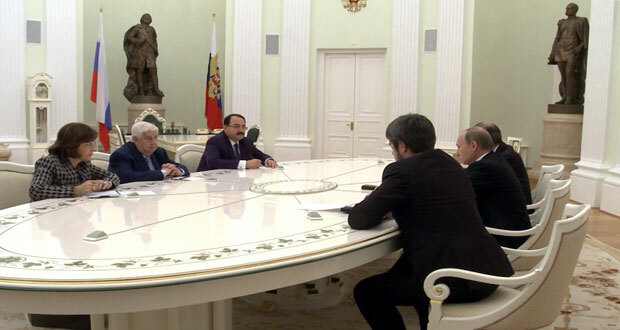 Later, al-Moallem and Lavrov held a joint press conference during which al-Moallem said that the President Putin stressed the necessity of finding a regional alliance for counterterrorism, adding “I know that President Putin is a man capable of working miracles, which he did in the Russian Federation, but an alliance with Turkey, Saudi Arabia, Qatar, and the United States to combat terrorism requires a very big miracle. The Minister wondered how the aforementioned states which conspired against Syria, encouraged, funded, and armed terrorism, and were complicit in shedding Syria blood can become an alliance for combating terrorism, but he voiced hope that this would come to pass. 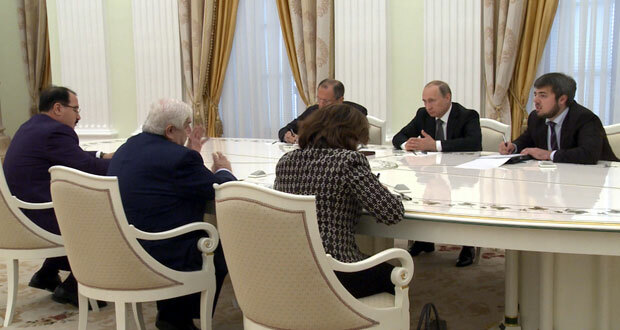 Al-Moallem said that he was glad to meet President Putin as he promised to support Syria politically, economically and militarily, pointing out to the successful experiences that resulted from initiatives by President Putin, most prominent of which was the chemical weapons issue. 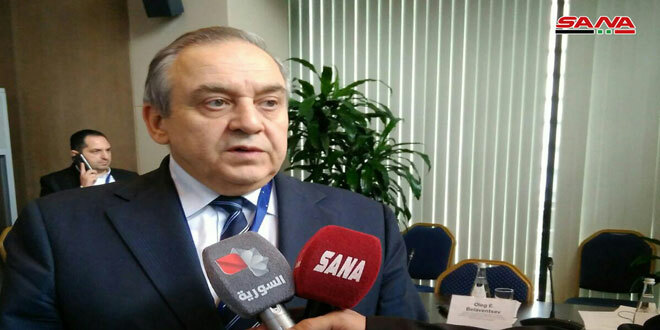 He said that the Syrian delegation held extensive, detailed, and productive talks with the Russian side on the situation in Syria and the region and means to find a political solution for the crisis in Syria, voicing gratitude for Russia’s hosting of the Moscow 1 and Moscow 2 meetings and its intent to hold Moscow 3. 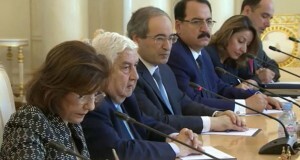 “We think that the safest way to prepare for a successful conference in Geneva goes through Moscow” al-Moallem said, inviting UN Special Envoy on Syria Staffan de Mistura to attend Moscow 3. 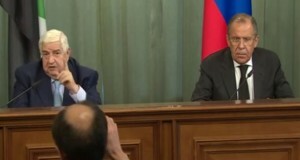 For his part, Lavrov said that one of the points made during the meeting between al-Moallem and President Putin was the need to employ objective analysis of the current situation and contact all regional forces involved in this issue, including neighboring countries like Saudi Arabia, Turkey and Jordan, adding that these countries are aware of the threat posed by the increasing terrorist activities represented by ISIS and other terrorist organizations. 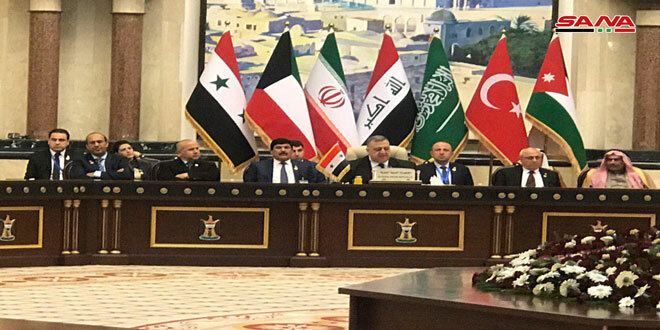 “All countries in the region should put aside their differences and focus on unifying their efforts to fight the general threat which is terrorism,” he added, saying that success in this regard could be the next step in the framework of the political process, which would involve the Syrian government and all opposition forces in Syria combining their efforts to fight terrorism. Lavrov said that emphasis on uniting efforts to fight ISIS and other terrorist organizations doesn’t mean ignoring issues related to launching inter-Syrian political dialogue, asserting that Russia has always called for implementing the Geneva declaration and the Russian initiative adopted by the Security Council despite Western objections. He went on to say that Russia is contributing via the Moscow meeting to finding mutual grounds for the political process in Syria in a bid to create consensus regarding the laying the principles for Syria’s future which are Syria’s unity, sovereignty, independence, territorial integrity, and protecting the rights of all religious and ethnic minorities, noting that these efforts are in line with the efforts exerted by the Egyptian side. Answering the questions of journalists, Minister al-Moallem said Syria has been suffering for over five years in its war against terrorism. 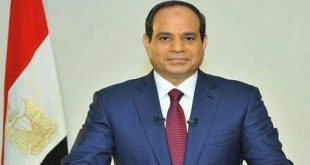 He said that stopping support provided to terrorists by certain countries, if it happens, will be a miracle, alluding that the possibility of this happening is very slim. Al-Moallem cited terrorist attacks that have recently rocked Saudi Arabia, Kuwait, Tunisia and France as examples that proved Syria’s view about the dangers of terrorism. 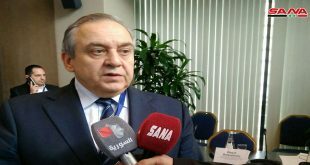 In reply to a question by SANA reporter in Moscow about the Russian peace efforts in Syria, Lavrov said it is necessary to draw lessons from two rounds of inter-Syrian talks in Geneva that have floundered, adding that the collapse of talks was a foregone conclusion as the West placed bets on one Syrian opposition power to the exclusion of others. Lavrov said the dangers of terrorism require establishing common ground and soaring above narrow interests by all parties. He urged foreign powers to abandon “bids to topple the Syrian regime” as they run counter to Geneva communiqué, referring to a gradual change in the stances of some countries which makes it possible that a “mutual vision” might be reached. 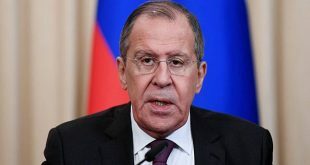 Lavrov warned of the dangers of engaging extremist powers to make swift gains as examples showed instances when terrorism was backed that mutated into a prolonged and widespread conflict. Russia and the US see eye to eye as to the necessity of preventing the Islamic State from establishing the Islamic Caliphate, an emphasis that was made during a phone call between the Russian President Vladimir Putin and his US counterpart Barack Obama, Lavrov added.